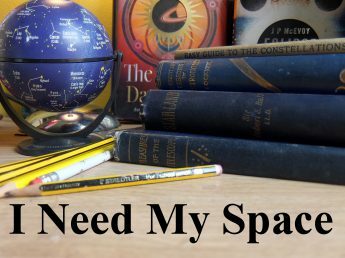 June | 2017 | I Need my Space! Last October I once again enjoyed the International Astronomy Show in Coventry, (I actually like it better than the London one, though both are well worth visiting). chasers, did worry me. Should I have done my homework more? Homework never was my thing, I’m afraid, (y’know, I’ve seen stats saying anything from 60% chance of clear Nashville skies, down to a 44% chance. The smart people seem to have opted for inland site far west of Tennessee. Hmmm). Anyway, Kate Russo’s book is a very welcome addition to my modest eclipse library. There’s no other eclipse book like it that I’ve seen. It examines the eclipse from the experiences and emotions of the observers. Many times, whilst reading it, I had that one of those put the book down and think about what you just read moments. So many people’s feelings mirrored mine, about how it feels to watch the sun go out, and how it affects you. At her lecture in October, I tried lamely to make the point that people gathering en-masse to observe and celebrate an astronomical event, is quite unusual, but there’s another instance of it happening that I can bring to mind – the solstice gatherings at Stonehenge, where people gather to see the sunrise. (Yes, a sunrise is an astronomical event, and you won’t convince me it isn’t!). I’ve been to Stonehenge a few times to see this, and it’s quite a unique, uplifting experience. Much like the solar eclipse. I’d like to hear a seasoned eclipse chaser’s view on the events of a clear solstice morning at Stonehenge. I think a lot of the same psychological buttons are pressed. Below are a couple of photos I took five years ago. So, I’ve been on the phone to the travel company and settled the balance today, (ouch! ), I’ve sorted out the insurance, looked into the visa situation, and in a couple of months I’ll be on my way to America. My fourth trip to the States, and hopefully, I’ll be seeing my third solar eclipse. Wow. I had a clear night at the star-party Shropshire camp-site last Saturday night. I’d made a list of some Messier objects I wanted to find for the first time, but other campers came over and it sort of turned into a ‘greatest hits’ evening, as I wanted to show them some interesting stuff, rather than have them watch me hunting for faint fuzzies. So, it was Jupiter and its moons, the Ring Nebula, Mizar, Alberio, the Great Cluster in Hercules, that sort of thing. I had the SLR with me, but didn’t do any photography. My Fuji compact, which I take constellation photos with, need repair (again). A shame, as the Milky Way stretched overhead beautifully. Summer seems to have arrived quickly. Because of the British Summer Time thing, it kind of messes with the natural flow of the changing seasons, and the timing of the darkening skies. It feels like a needle jumping on a record. I drove the van over to the corner of the field where I’m having the star-party, which is also called a meteor-watch. I really should call it one thing or another. I’ll be at this Shropshire campsite for the Perseid meteor shower on Friday 11th, Saturday 12th and Sunday 13th. The peak nights for the shower are 12th and 13th. I’ve been trying to spread the word at the Wolverhampton Astronomical Society, and Walsall too. I’m hoping to get some other people along, it’s a nice friendly campsite with electric hook-ups and as dark a sky as you can get an hour’s drive from the Black Country. I’ve put some pictures of the campsite below. My caravan at the campsite. You can’t miss it! I hope this is the sort of sky we’ll get on the weekend! Glorious! I took this picture a few months ago. The red glow is due to the 20 second exposure, it’s the streetlights of Craven Arms, five miles away, un-noticeable with the naked eye. A small provisions shop half a mile down the road. The sign for the campsite. I’ll be in the furthest field, which is several hundred meters from the road. My Skywatcher in the field I’m using. Nice pub (real ale, good food) half a mile away. Just in case it’s cloudy! Jupiter in Virgo from the campsite this May, taken at dusk.